The construction of the module is made in 0H18N9 type stainless steel. The main part of the heating module is a heated panel where perforated inserts are located. Heating take place due to the temperature generated by heating elements inside the panel. Temperature regulation system is thermoregulator based. Food, previously heat-treated, is put on the perforated inserts. The workspace is separated from the front and on the sides with tempered glass. Products are illuminated by a lamp located above the workspace. The client's side of the device is panelled and colour is customized. 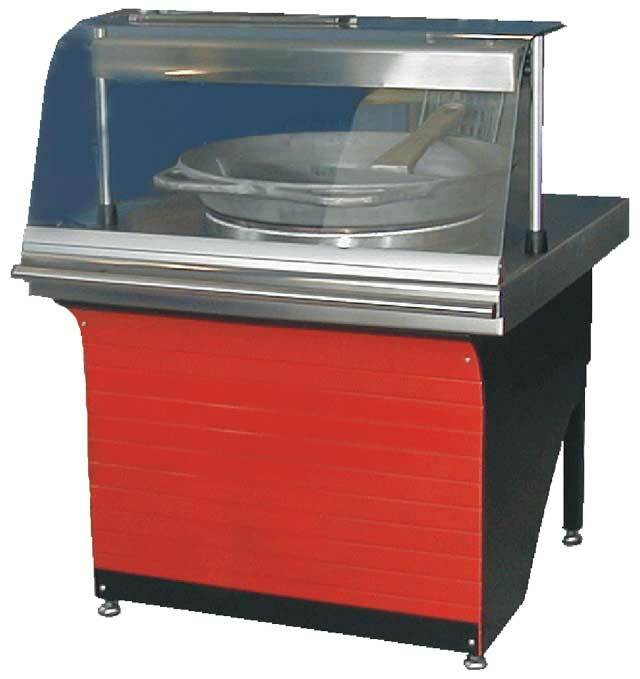 Pan PE-001 is intended for heat treatment of food in eating places. 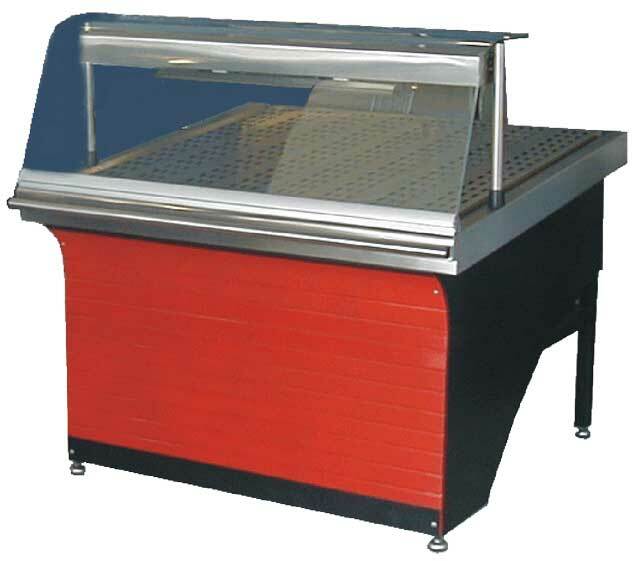 Pan construction is made in 0H18N9 type stainless steel. The main part of the pan is a hob where cast-iron dishes with food are put for heat treatment. Frying takes place due to the temperature generated by heating elements under the hob. Temperature regulation system is thermoregulator based. The work area is separated from the front and on the sides with tempered glass. The client's side of the device is panelled. Its colour is customized.